“If there's one thing I learned, it's that nobody is here forever. 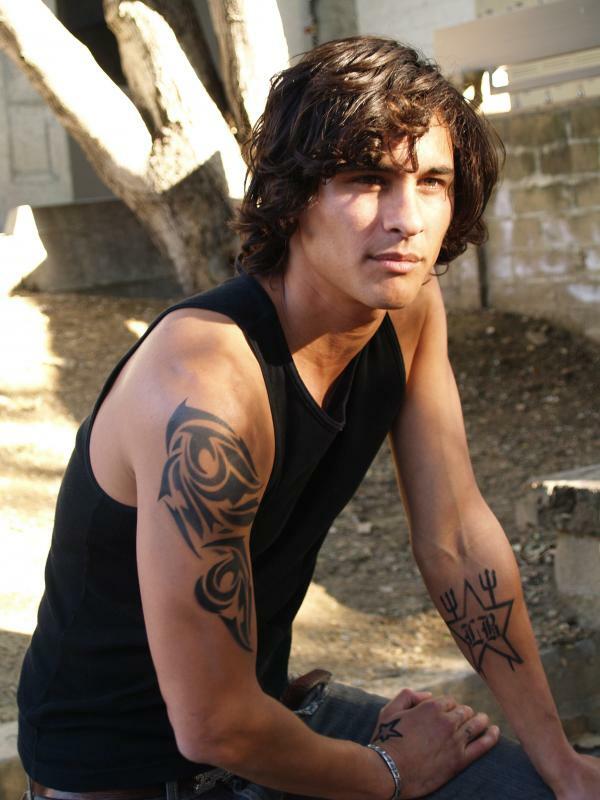 Alex Fuentes, at first glance, is nothing more than your classic bad boy from the wrong side of the tracks. He became involved with a gang at a young age and has been bad news ever since. However, there's more to this Mexican than meets the eye. In Perfect Chemistry by Simone Elkeles, Alex opens up and learns what it means to love and to be loved. Alex's family moved to America from Mexico. His tanned skin and dark features mark his heritage, as does his Spanish accent. He is described as tall, lean, and muscular. Many of his peers view him as intimidating because of his tattoos, moody expressions, and association with the Southside gang. Alexander F. Rodriguez was chosen to represent Alex Fuentes in many publicity photos for Perfect Chemistry. I'm not sure whether the publishing company or the author chose him, but either way, he is nearly identical to my mental image of Alex. 1. Once he develops feelings for someone, he will do anything to make them happy and protect them. 2. He knows how to stand up for himself and won't back down. "I'm always prepared for a fight, been in more of 'em than I can count on my fingers and toes. I've got the scars to prove it." 3. He mixes in his Spanish heritage with his flirting, making himself all the more adorable. “Como un angel," I whisper. 4. For someone who is supposed to be a tough gang member, Alex is surprisingly sensitive. 5. He goes the extra mile to take care of the girl he loves, even when he's not sure what to do. “When she's finished, she's too weak to walk. She resembles a garage-sale left-over rag doll. I carry her to where my friends have built a huge bonfire, not knowing what else to do. When she wraps her arms around my neck, I sense she needs someone to be her champion in life." Alex Fuentes is entirely swoon-worthy. If you haven't checked out Perfect Chemistry or any of Simone Elkeles' books, I strongly recommend that you do!